Continuous hook and loop fastener strips on our stage drapes allow adjustability in length to match the height ranges of your stage. The fastener strips makes it extra-easy to attach and remove the skirting. 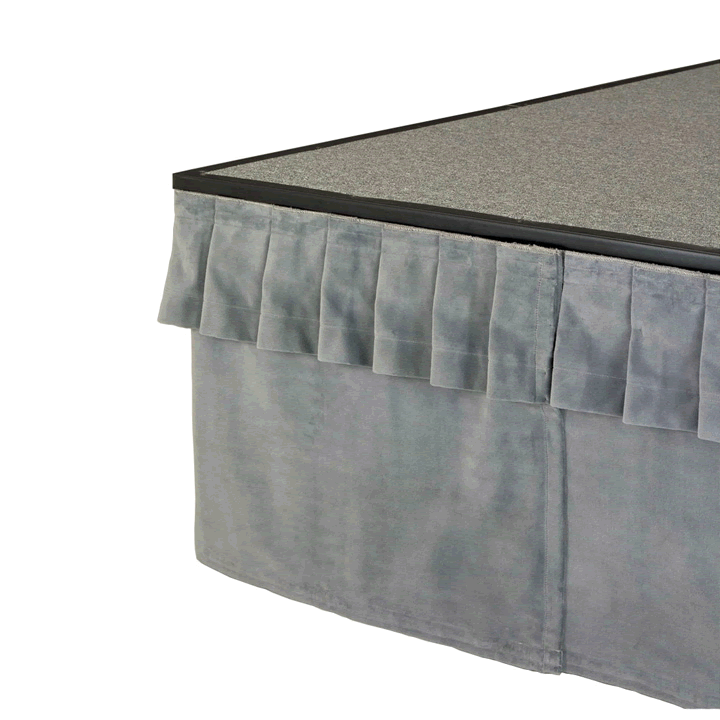 SICO® supplied draperies are made of attractive flame-retardant fabric that retains its beauty over years of use. 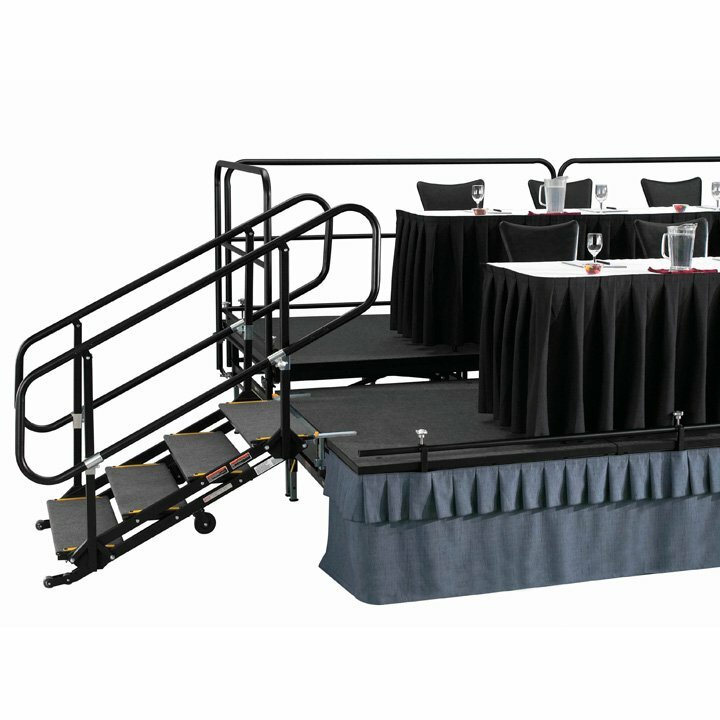 Choose from many color options, or supply us with your drapery material and we will custom-fit draperies to your stage sizes. Available in a variety of lengths depending on your choice of stage. Drapes attach to the decks via continuous hook and loop fastener strips on the perimeter of the stage. They are either single height or multiple heights depending on the stage it is being placed on. Drapes should overlap by 4″ to prevent gaps. Standard Stage drapes are 8’ wide; 4’ and 6’ widths are available upon request.